Parlour: Kate Spade - Kansas City Launch Party !!! 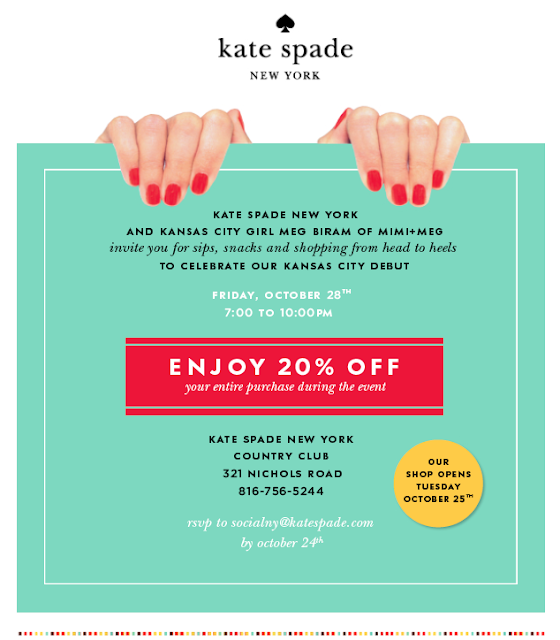 Kate Spade - Kansas City Launch Party !!! For all my fellow Kansas Citians... I thought you might like to know about this. It's being co-hosted by Mimi + Meg . Very, very cool. Click on the link, because you need to RSVP! Go KC! woop woop! hope this means i'll see you there! This is gonna be dangerous...Kate Spade practically in my back yard! !